F 2/c Clarence H. Tyler, son of Mr. And Mrs. H. T. Tyler, attended school in Manitou and Frederick; husband of the former Thelma Barnard. Entered Navy in April, 1944, trained in Camp Peary, Va., and Camp Shoemaker, Cal. 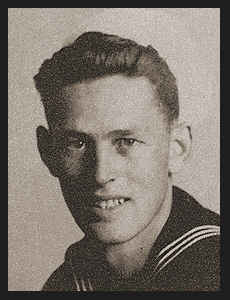 ; went overseas in Sept., 1944, served in Hollandia and New Guinea, where he was killed in Nov., 1944, in a landing craft accident.